Thank you for telling your friends and family about McClain Insurance! We appreciate you sharing your good experience with us. We donate $25 to our Charity of the Quarter for every referral we receive through our Share the Good Referral Program. As independent insurance agents, we do more than just live in your community – we help support it. We do this in part through our Share the Good client referral program. These charities serve the greater Everett, Washington community. We’re personally involved with all of them. Learn more about how we support each organization below. Step 3. We mail you a handwritten thank you card and a $2 bill so you can share a unique bit of good with someone else. This can be as simple as hiding the $2 bill in a library book or giving it to a child. Tell us how you share good in your community using the hashtag #McClainSharesGood. As part of our commitment to share good, we make a $25 donation to our Charity of the Quarter for every referral you send to our office. The McClain Insurance team collecting backpack and school supplies for the Everett Public Schools Foundation. The Everett Public Schools Foundation is near and dear to our hearts. 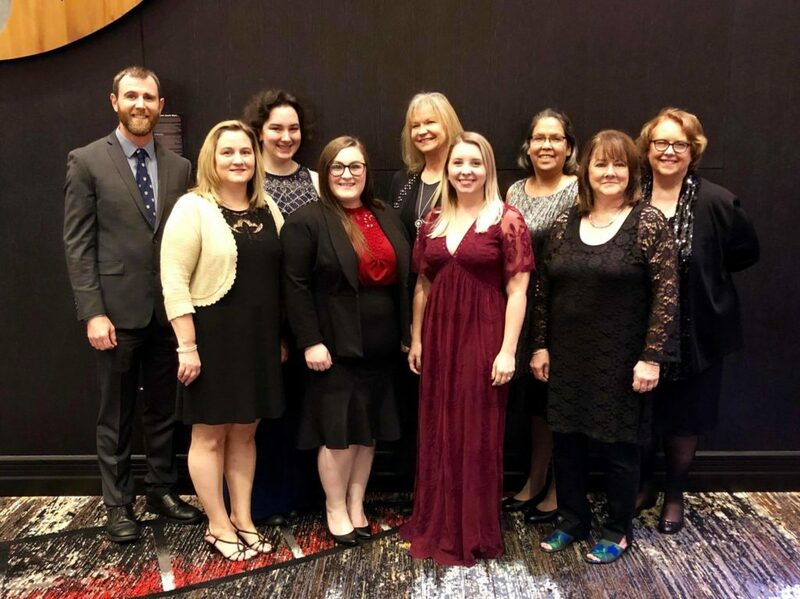 McClain Insurance team members Caitlin Klosterman (Cascade High School) and Ashley Abrams (Jackson High School) grew up attending Everett Public Schools, and Claudia McClain is a long-time board member of their foundation. Every August, the foundation also organizes the Stuff the Bus School Supply Drive. 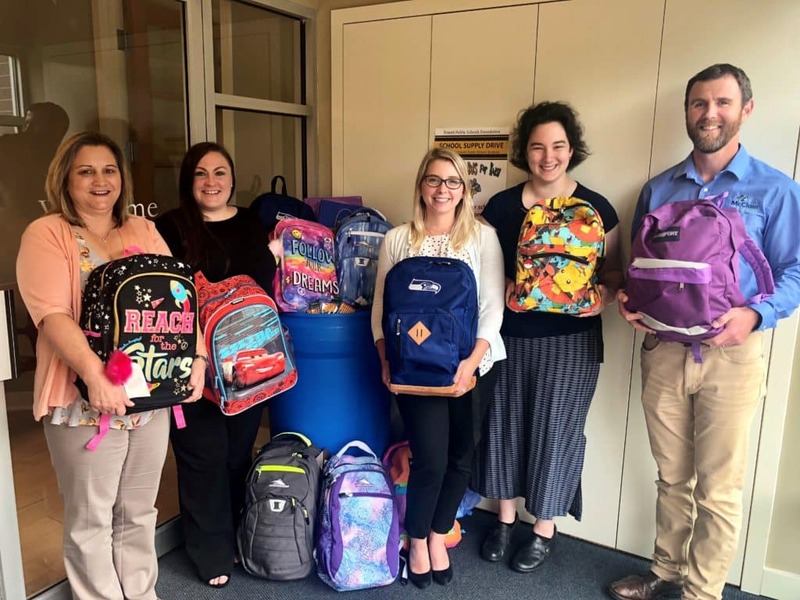 McClain Insurance and other local businesses collect community donations of new backpacks and school supplies, which are delivered to more than 1,875 low-income students before the start of the school year. Agent Nick Pembroke reads to Elliot as part of the Kids Book Club at Madison Elementary School. YMCA of Snohomish County serves more than 100,000 community members through its six branch locations, 54 program sites, and Big Brothers Big Sisters affiliation. As the nation’s largest volunteer-supported mentoring network, Big Brothers Big Sisters makes meaningful, monitored matches between adult volunteers (“Bigs”) and children (“Littles”), ages 6 through 18. 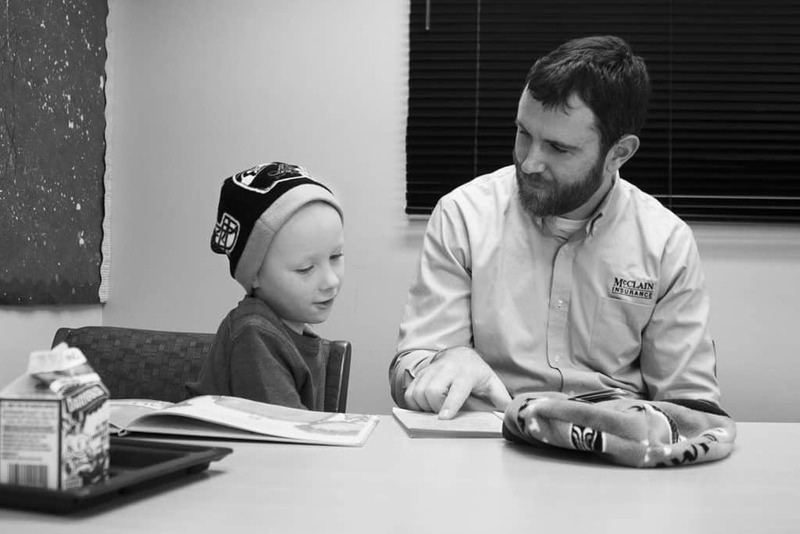 McClain Insurance Vice President Nick Pembroke serves as a volunteer reading club leader through the Big Brothers Big Sisters Kids Book Club program. Every week, he meets with a group of second and third graders to talk about what’s going on in their lives and help them develop a lifelong passion for reading. 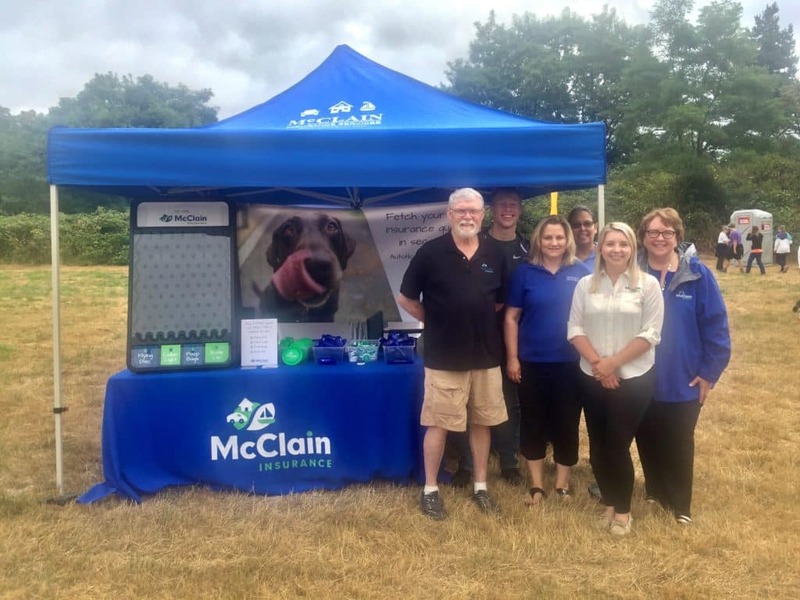 Part of the McClain Insurance team at the Everett Animal Shelter Mutt Strut. Most of our team members are pet parents, so we know how important dogs and cats are to the family. That’s why we’re proud to support the Everett Animal Shelter. As the only open admission shelter in Snohomish County, Everett Animal Shelter turns no animal away. This means the shelter frequently sees the worst of the worst cases of abuse, neglect, and cruelty. The shelter takes in and rehomes about 5,000 dogs and cats every year. The McClain Insurance team at Cocoon House’s An Evening in SILK fundraising auction. More than 34% of the total homeless population is under the age of 24. Cocoon House is a non-profit that conducts outreach to and provides short and long-term housing for homeless and at-risk young people, including their children. Parents of teens can also find support for themselves and their families at Cocoon House so that young people do not become homeless. We’ve been privileged to support Cocoon House’s mission for a number of years.